We’ve had an amazing year at NordVPN, and BestVPN acknowledged that by nominating us in four different categories for the BestVPN.com Awards 2018! Cast your vote in the BestVPN.com Awards 2018 for your favorite provider and get a chance to win a free NordVPN subscription! 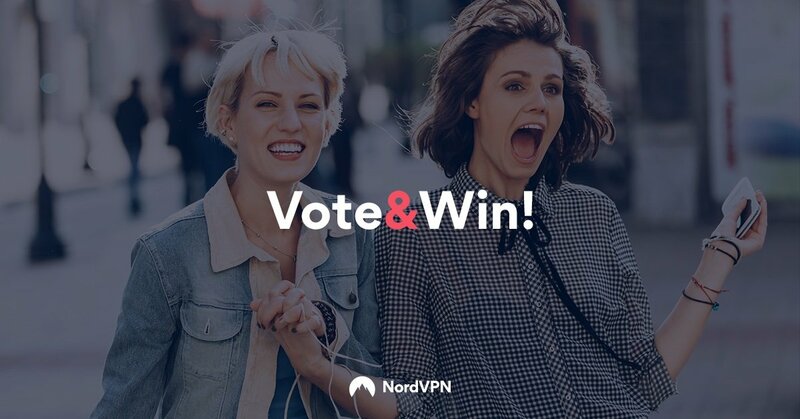 We’ll randomly select 10 voters who will each win a 1-year subscription of NordVPN! The deadline for the NordVPN free account giveaway is December 4 at 2 AM GMT. You get an extra chance to win by visiting NordVPN on Facebook and following us on Twitter! You can vote in various award categories, and submitting your vote in each of them is very simple. That’s it! Now you can start looking forward to the results of the NordVPN giveaway. Vote and WIN Free NordVPN Subscription!